Automatic test technology can be fitted to bulk, gravity, pipeline, and conveyor-style metal detectors. Fortress Technology has unveiled an updated version of its automatic test technology - Halo - providing factories with a traceable and auditable way to periodically test the performance of their food metal detectors. Most food manufacturers test each metal detector within their factory at the start and end of the production shift, and then throughout the day at regular intervals, typically hourly. In many settings, as soon as one check is done it is time to start over. This time spent running and documenting tests on every line where a metal detector is installed can cost a business several thousand dollars a month per line in machine downtime and human resources. For larger factories with multiple lines and metal detection units, the monthly expenditure can run into tens of thousands of dollars. Not only is this unproductive, it makes even the leanest manufacturing operation less profitable. Given the growing importance for data integrity, Halo Automatic Testing technology tackles this drain on resources. Reducing the frequency of manual tests also helps to eliminate the risk of human error and workplace injury at critical control points on a manufacturing line while complying with industry standards. Halo works by effectively duplicating the signal disturbance that occurs during manual testing, without having to physically pass a metal contaminant through the metal detector. It automatically generates a signal calibrated to specified sphere sizes, logging the test results to provide a reliable audit trail. It also checks the performance of the reject system. Forming a vital part of manufacturing due diligence, the device is capable of independently testing for all metal materials - ferrous, non-ferrous, and stainless steel. 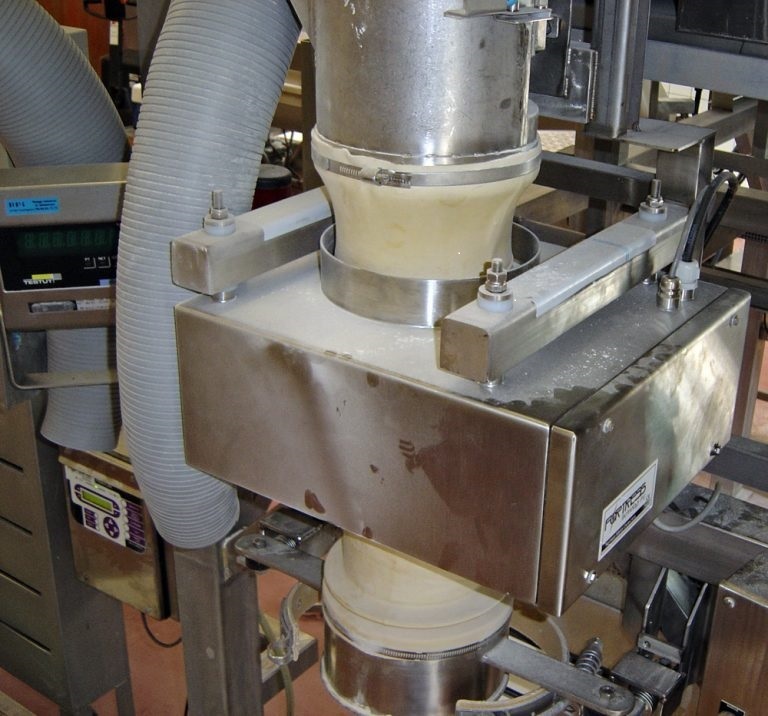 Traditionally installed on the pipeline and gravity metal detectors that inspect free-falling products, including rice, sauces, cereals, powders, corn, sugar, and snack foods, the latest release of Halo has now been adapted to work with a conveyor-style metal detector to further reduce operational costs. Food factories can narrow the time window during which a problem with a system goes undetected. This in turn reduces the number of suspect products that must be discarded or recalled in case of an incident. Payback for a new Fortress metal detector fitted with Halo is typically less than 12 months. Designed to complement manual testing, automatic testing not only makes good business sense, its robust audit trail also helps to strengthen food safety compliance and metal detector system security on processing and packing lines.